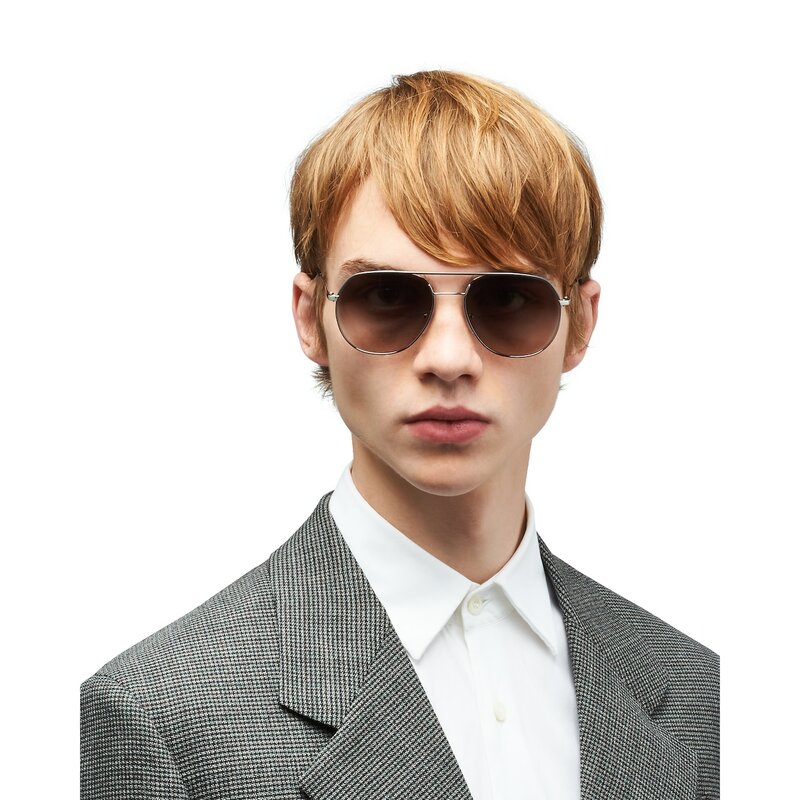 Sophisticated, elegant men's frame. 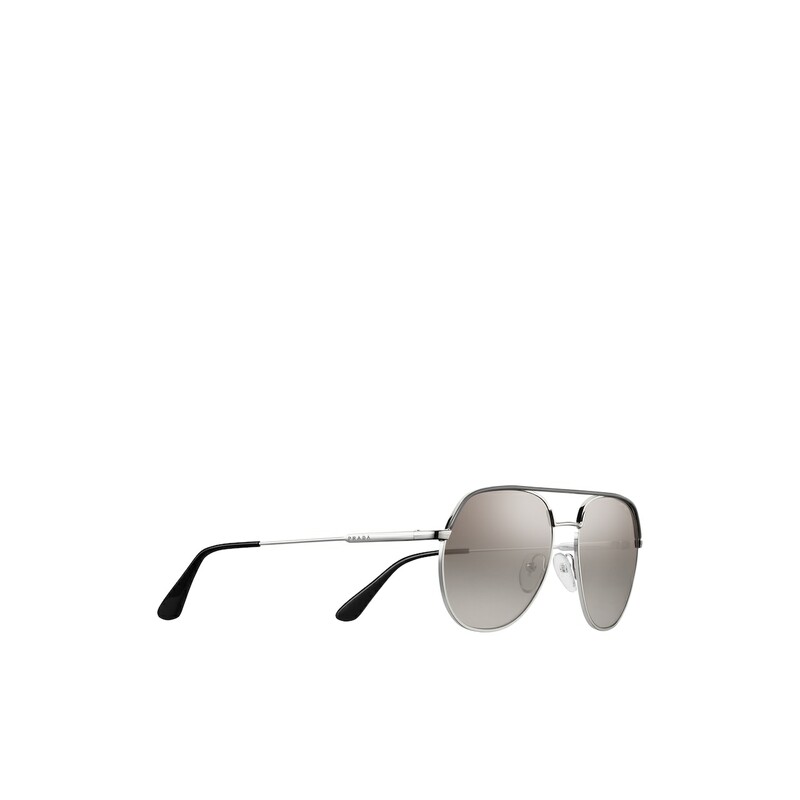 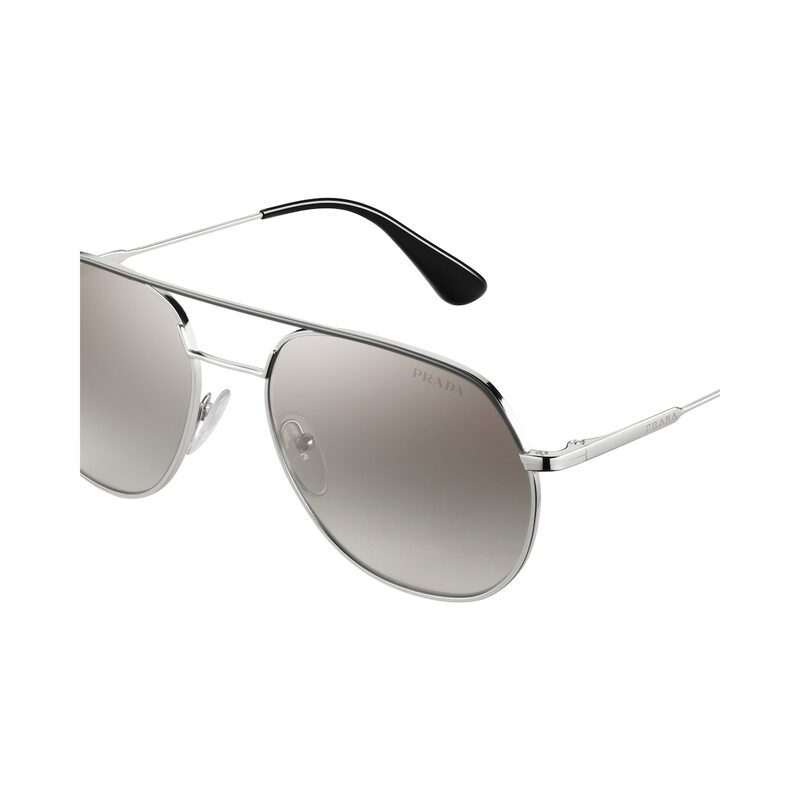 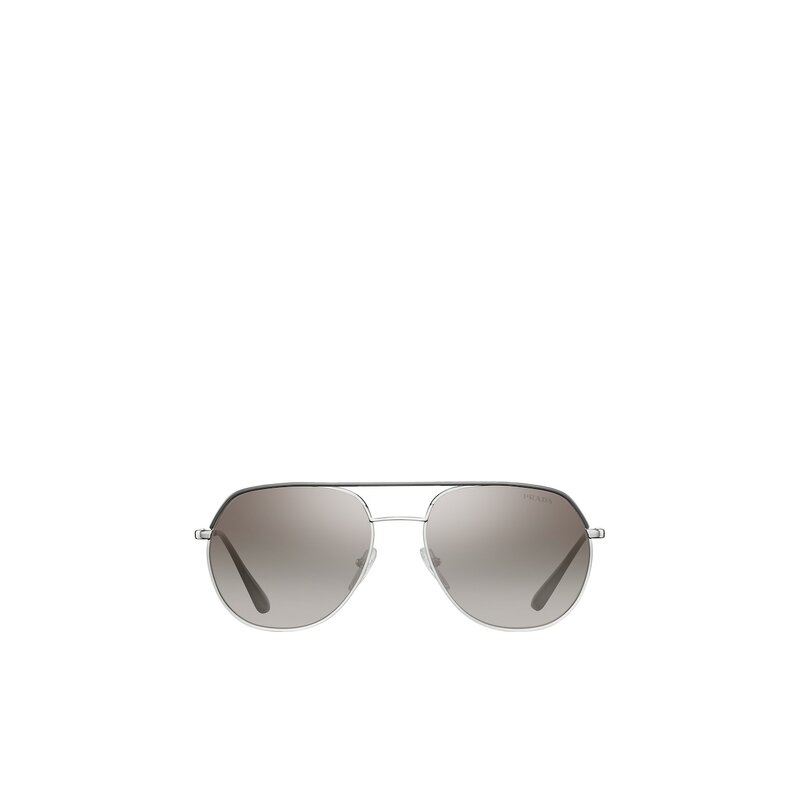 Pilot-style slim metal frame front Distinctive straight double bridge. Ultra-slim metal temples with insets engraved with the Prada lettering logo.